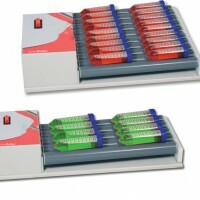 Speed 40rpm Ideal choice for blending analysis samples such as blood samples. Gentle rolling and tilting action. Ea.